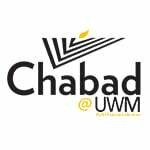 Join a traditional Passover Seder with your Chabad at UWM family! Take a break from your hectic week and celebrate Shabbos. Great food, spirit and company. Come eat a bagel and cream cheese while learning some mind-blowing Jewish insights.